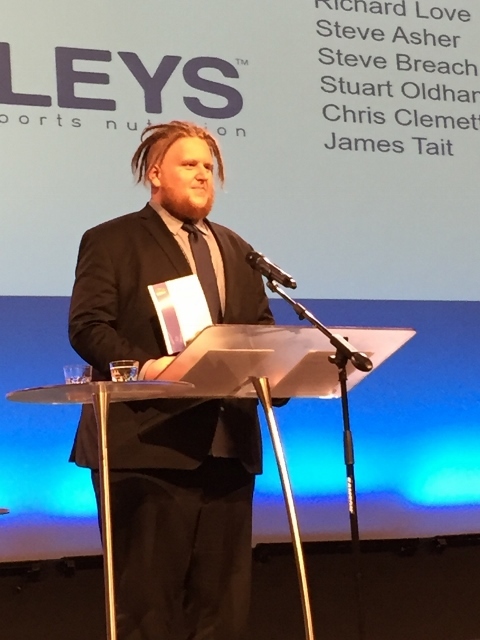 Trained by PT Roger Symes in Palmerston North, Richard won the Overall Body Shape Change Category. 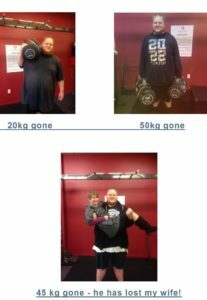 Richard had a weight loss of over 36kg over the 20 weeks with his PT Roger. He has kept the weight off and indeed lost even more since. Here is an excerpt of Richard’s story. Life 30 weeks ago: I was unhappy. I was angry, I was unhealthy, I had been big for what seems like forever. Roger was not the first person I contacted, he was however the first person to say YES! The other problem I faced was that I had no income – this did not phase Roger. 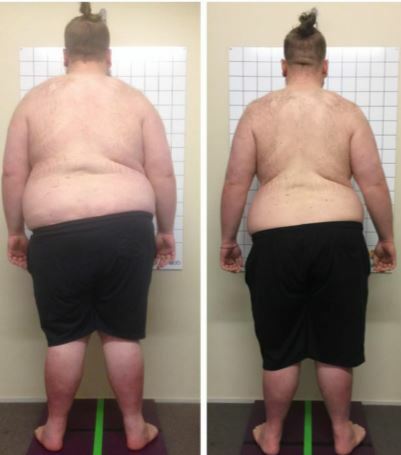 The deal I had was that if I did not lose weight in the week I would have to pay for the 3 sessions of PT – I was instead paying Roger in body fat. I have not yet had to pay for a session! The first time I climbed the stairs to meet Roger, it took me 5 minutes sitting on the couch to recover and catch my breath. My Mum came with me for support, and I have not looked back. We booked in the assessment – that was way out of my comfort zone, and it had to be done. This was my starting point. I did not realise how big I was – I think in part that was denial. I never truly accepted / recognised that. I had no idea really how this was going to work – I thought I was going to be slaughtered – like biggest loser on tv. I thought I would have to work out for hours and hours in the day and that I would have to eat like a rabbit and be really strict on the timeframes I would eat. This was not how Roger works. Was I in for a surprise. My day used to start about 12noon – after all I had been up late gaming until 2 or 3am. Now I am usually in bed by midnight. I get up at 8.30am – my gym session is 9am… and go to bed at 12midnight – my sleep is much better. 8 Breakfast would have been left overs from the night before (Mum used to try and make extra) and about 12.30 I would get into my gaming – GTA- til about 5pm or watch movies or tv… I might take a break to get some food – eating whatever is in the house – or I would eat takeaways – at least once a day – sometimes 3 times a day.  1 pie nd a chips for $3.50 – I would eat two of those.  McDonalds was another favourite – I would have a large double quarterpounder combo (with chips and drink), triple cheeseburger, and 2 chicken mayo burgers, and McFlurry all in one sitting.  Chinese takeaways would be large egg foo young, large chicken fried rice, large sweet and sour pork – again that was one meal. Every meal was about getting full! Now I know about portion sizes. Snack foods were one of three things mountain dew can – or bottle of fizzy –and a large family sized (350gm) block of chocolate (dairy milk or crunchie). Mum used to buy a 24 pack of mountain dew – I would go through 4 in a day – one every meal roughly. I drink water now. Now I cook! I cook every day – every meal –I have had takeaways twice since March. And I didn’t like it. I was surprised – I do not feel like I am on a diet – it does not feel restrictive. I love my food now. Foods that I used to eat do not taste good anymore. I eat til I am satisfied – not over-full. I took the car everywhere – I might do the occasional 10 minute walk. Now I come to the gym 3 x a week for PT, I walk 3-4 days a week. I am part of ‘the hundy club’. I have done some swimming and biking occasionally. I have some goals to walk the Sledge track – it just about killed me the last time. I would like to do it now.. Now I can come up the stairs and do my PT session no worries. I also have not been able to wear a seat belt – I had to do the seat belt up and then sit on it so the car did not beep! One day I got pulled up by a cop and got given a warning! He made me lean way back into the seat and put it on – it was so tight. There was no room between the steering wheel and my legs. My seatbelt fits now. The last time I had a job was in 2015- I was a driver for a 3-month period – picking up and dropping students off. I had a job with Armour Guard in 2015 for a couple of months– but had to give it up because it was too physical – too much walking. My body could not cope. I had to get a special uniform made for me – as I did not fit the standard one – or I had to wear a different one. It has been really difficult to find work. I am now looking for work – I have realised I can have a job! I am in a band, and even in setting up my kit, I would break into a sweat and have to go outside to cool down. I don’t break into a sweat now and I have more energy. Drumming is way easier – I do not exhaust myself like I used to. 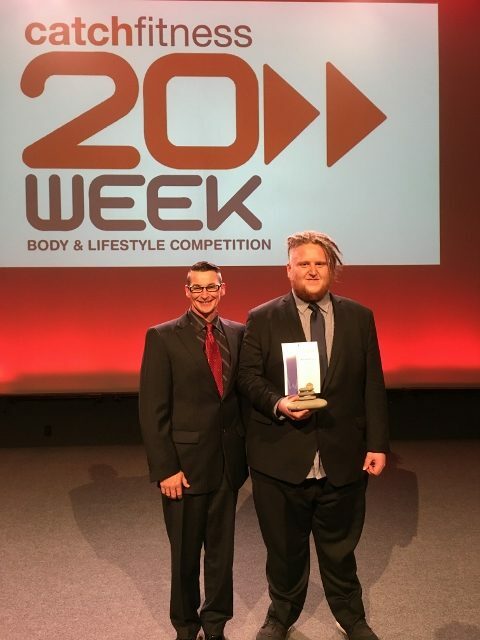 Nb: The 20 Week Challenge has 25 categories, none of which is weight loss. We consider weight loss to be a fringe benefit of living a healthy, happy, life. Yee ha team Richard and Roger, thanks for allowing us to share this story. You both ace’d it.